Anatomical dissection and medical education. Beginning in fourteenth century Italy and lasting through the eighteenth century students learned anatomy by observing dissection. Once or twice a year, the anatomy instructor dissected a cadaver with all the students in attendance, eagerly watching the proceeding. The students observed but did not do the dissection themselves. This changed in the mid eighteenth century, first in Paris and then in London, as students increasingly performed their own dissections upon cadavers. This constituted a fundamental change in medical education, placing greater emphasis upon learning not only by seeing, but also by doing. 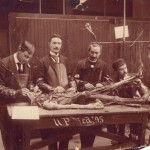 Medical students were understandably proud of having dissected a human cadaver. It comprised the most important initiation into a life in medicine, and took on the character of a ritual. 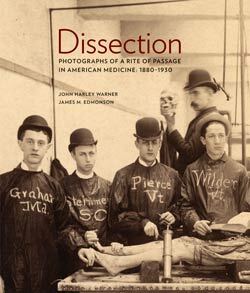 Through dissection, they obtained invaluable anatomical information and insights that formed the cornerstone of their medical knowledge. 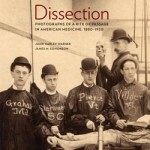 Dissection gave more than merely utilitarian knowledge, however. Dissecting a cadaver also compelled students to come to terms with their own apprehensions and anxieties about death, and the bodies of the dead. The resolution of these issues gave medical students a sense of mastery and power. 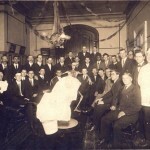 It engendered a special camaraderie among physicians, and at the same time set them apart from the rest of society. 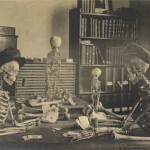 Through dissection they had been inducted into the medical profession, even if much study remained before them. Given the centrality of this experience, it is little wonder that students sought some way to record it. The advent of photography in 1839 gave them a remarkable, compelling new means to do so. 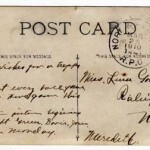 By John Harley Warner and James M. Edmonson.